The Midwest quintet from Bloomington, IN, might have stepped out from a stereotype of trailer trash and whiskey saloons, but they’ve come a long way from humble beginnings, releasing their seventh studio album since the formation on the band in 2001. Murder by Death have successfully tapped into the mainstream stratum with their unique combination of country, folk, and orchestral rock with an indie sensibility. The darkness of the music has always been evident, and this record is no exception Lead singer and songwriter Adam Turla wails over the mike with a deep baritone voice. Overall, this feels like a much calmer and lower energy record than previous ones. Whether or not it is fair or appropriate to compare this record to their older ones is a question that will be disagreed upon by fans. There may be a bit of an evolution with their music. While this latest record is not formulaic or derivative, it still sounds very much like a classic MBD. Where they have matured is in the emotive qualities of the music itself. While some of the lyrical elements can be repetitive, there seems to be more of an emphasis on overall feeling. MBD aren’t strangers to conceptual albums, with 2003’s album, Who Will Survive, and What Will Be Left of Them? telling a story about the Devil in Mexico waging a war on a small village. Throughout their history, MBD has always explored themes of love and the bittersweet nature that is often associated with it. Hence, the aptly named Big Dark Love which ushers in the dichotomic feeling of being melancholy over love but boldly moving beyond. If you had any doubt in their fan base, they have taken to Kickstarter with their last couple records, achieving one of the most successful Kickstarter campaigns to date with Big Dark Love. 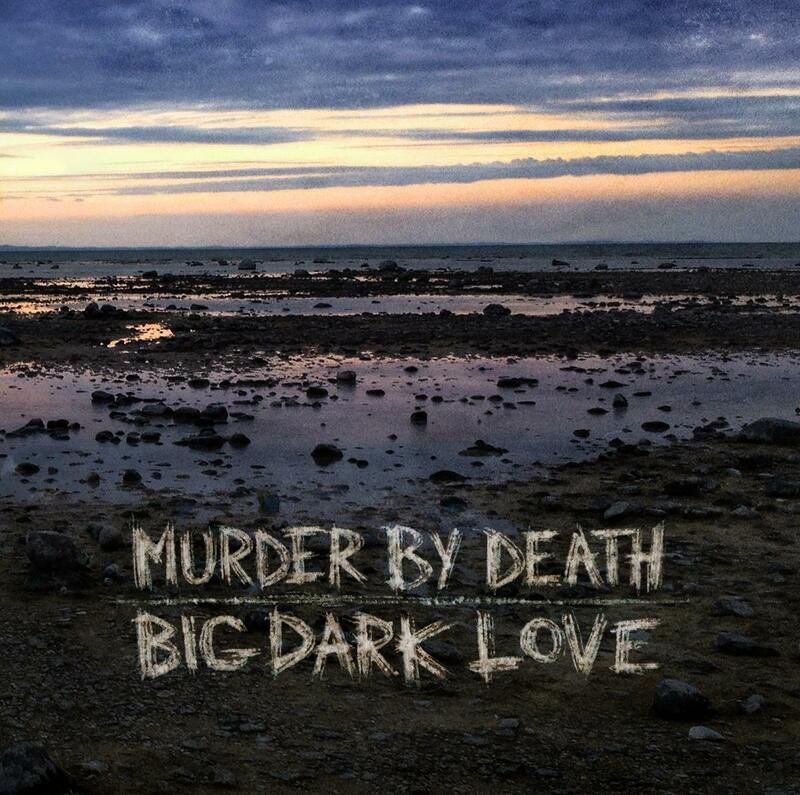 Murder by death embark on their US tour starting January 30 and Big Dark Love will be in stores February 2.